Like other health professions in the U.S., the troubling lack of racial and ethnic diversity is one of the key issues of concern for the behavioral health workforce. According to a 2004 study, non-Hispanic Whites accounted for 76% of all psychiatrists, 95% of psychologists, 85% of social workers, 80% of counselors, 92% of marriage and family therapists, and 90% of psychiatric nurses in marked contrast to the composition of the U.S. population, which is nearly one-third Latino, African American, Asian American, or Native American/Pacific Islander and also undergoing growth. Although a few federal programs address workforce diversity, such as SAMHSA’s Minority Fellowship Program and HRSA’s Graduate Psychology Education Program, the percentage of racial and ethnic minorities in the behavioral health workforce remains inadequate and the number of minority workers that occupy leadership in behavioral/mental health is exceedingly low. These issues are of particular concern given the ever-increasing need for behavioral health services in these communities. The purpose of this study is to survey a sample of behavioral health workers in Michigan representing different occupations to assess factors associated with worker recruitment, retention, promotion opportunities and work environment to determine to what extent underrepresented minority workers face barriers in the workplace. The findings of the study will inform policy recommendations for developing strategies and programs for enhancing workforce diversity in behavioral health. 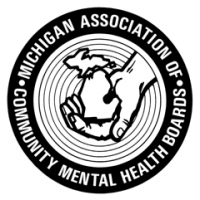 The Michigan Association of Community Mental Health Boards provided assistance with survey dissemination. A survey completed by 139 underrepresented minority behavioral health providers in Michigan showed that, overall, respondents feel that their organization values and fosters a culture of diversity, equity, and inclusion. Further, 68% of respondents are comfortable reporting discrimination and 74% are comfortable communicating about race and ethnicity at work. Almost three-quarters of employees believe their work is valued by their employer. However, 55% of respondents believe that they have limited opportunity for career advancement, despite over one third reporting being interested in a leadership position (35%) and three-quarters reporting that they possess the necessary credentials to serve in a leadership role (78%). Respondents identified the following factors as having the most influence on retention: ability to provide care for the population served by the organization (66%), the organizational mission (49%), and work location (48%); population served (68%) and organizational mission (55%) were also reported as top retention factors, along with job security (56%). Over one-third of respondents indicated that they intend to retire or otherwise leave the behavioral health field within the next five years for reasons that included retirement (51%), interest in other job opportunities (40%), and better income opportunities (39%). Addressing factors limiting recruitment and retention opportunities can benefit workforce capacity.